WOWZA! 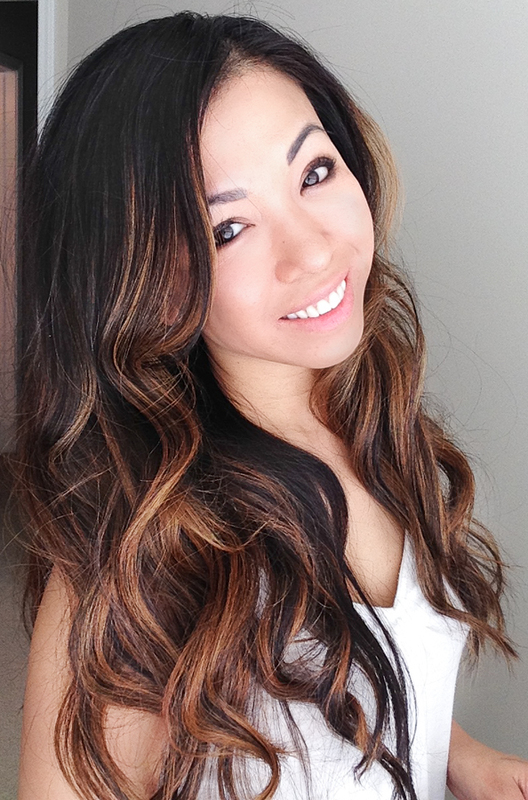 That’s probably the first thing that escaped your mouth, too, when you saw this unexpected bridal hairstyle, right? The fishtail braid that my beautiful bride-to-be, Deepi, is sporting is what Disney Princess dreams are made of – pretty much perfect for any special occasion like her sangeet, the big, crazy party BEFORE the actual wedding. Indians know how to party 😉 Ashyana Banquets in Downers Grove, Illinois provided the perfect location for said big, crazy party. Deepi and Eeshan also happen to be members of a professional, traditional Indian dance group called Ministry of Bhangra. Mind. Blown. Best Bollywood performances I’ve ever seen! 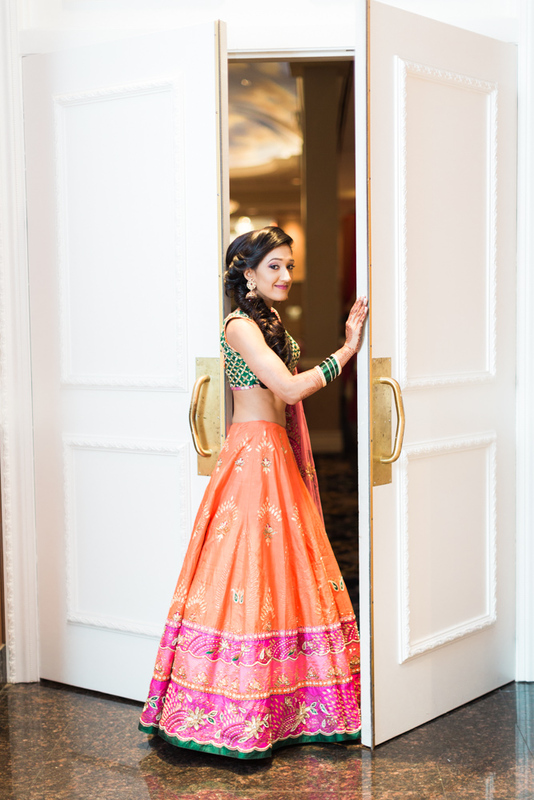 Orange and fuschia are going to be a perennial favorite here at Melissa Diep Photography, and this bride totally nailed the hues in her own way by contrasting it with a stunning emerald green and gold top. Add a strong, handsome groom on her arm, like Eeshan, making his own statement with a modern spin on a traditional sherwani coat. 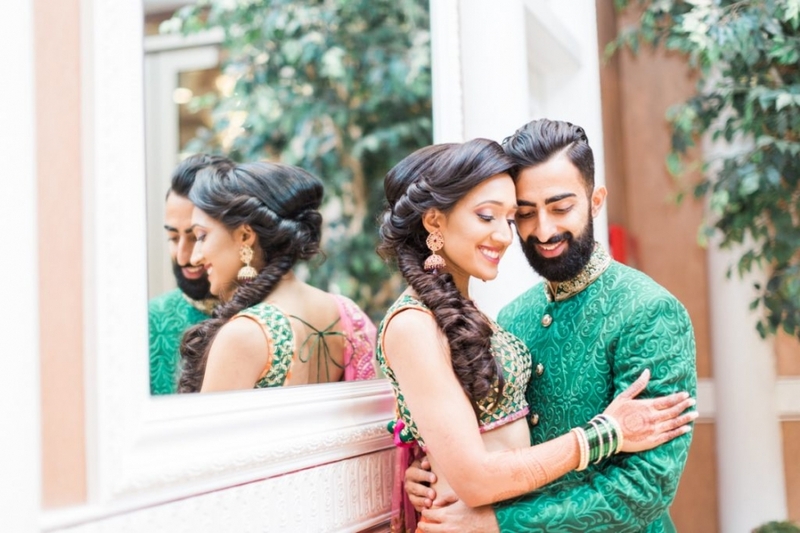 Matching a small element works well to pull together contrasting wedding outfits, like Deepi’s green border of her lehenga to the groom’s sherwani. Love Indian weddings and the color explosion associated with them! Deepi and Eeshan’s non-matchy matchy look is a color story perfection, and Deepi’s simple but colorful lehenga is proof that you don’t need to be drowning in an ocean of gold embroidery to look amazing. 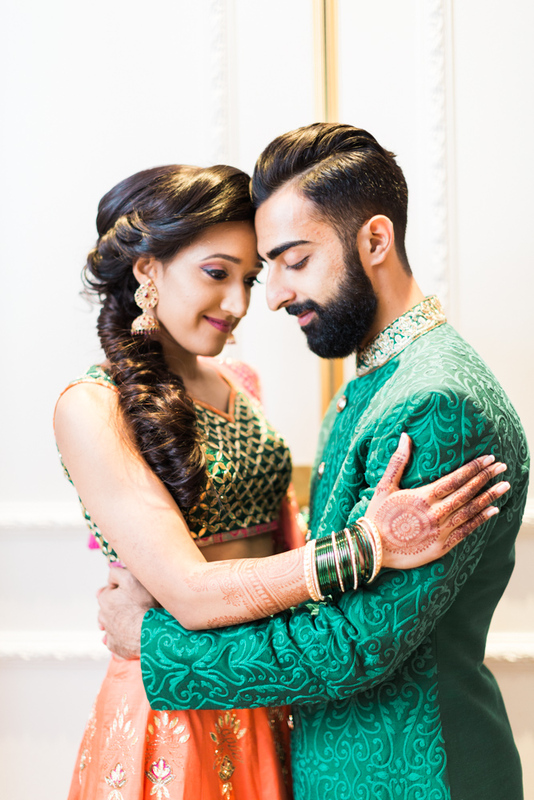 Scroll down to see all of their sangeet pictures… just wait till you see the wedding coming to the blog soon!